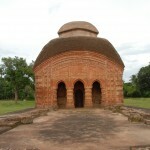 Khiching is situated in the eastern Indian state of Orissa and is a famous heritage site. This place is the most important historical and tourist site in Mayurbhanj district. 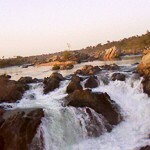 It is situated in the Karanjia sub-division, 150 km from Baripada and 320 kilometers from Bhubaneswar. The name Khiching is a corruption of Khijjinga or Khijjinga-kota, the capital of the early Bhaja rulers. The ruins of this ancient magnificent town extend far beyond the limits of the present village from the bank of the Khairabandhan river in the north to that of the Kantakhair river in the south. Due to its geographical situation and political role, it experienced varied cultural influences and contacts. Such influences and contacts guided the course of development of the art of Khiching. Despite the influences, the art of Khiching lived with vitality for centuries and expressed the aesthetic experience and religious sensibilities with an individuality of its own. Legend has it that once upon a time, Khiching had eight Shiva temples of which seven lingams can still be traced. 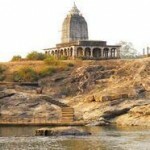 But now the place primarily has three ancient temples dedicated to Kutaitundi, Chandrasekhar and Kichakeswari, fortified ruins of Viratgarh, Kichakagarh, many stupas, and sculptures. 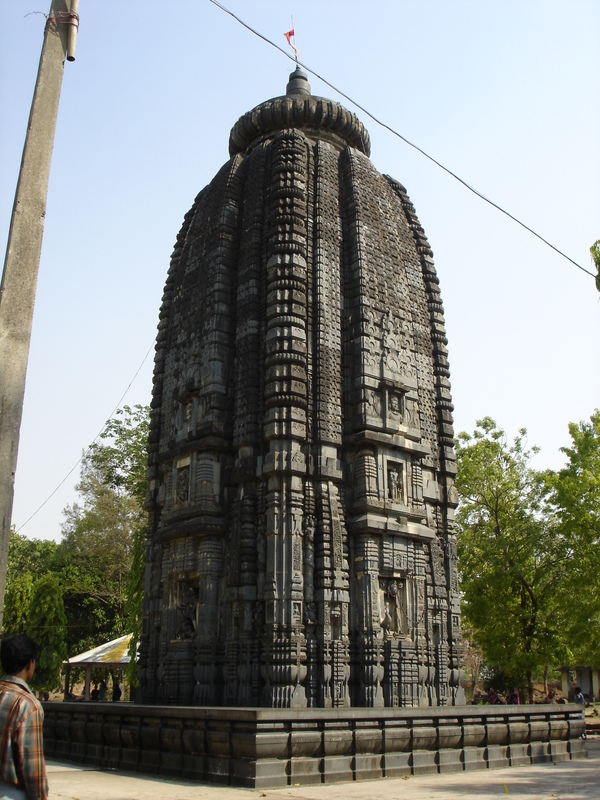 The large temple of the town is dedicated to Kichakeswari, the family goddess of the ruling chiefs of Mayurbhanj. Rich in architectural splendor and exquisite beauty chiseled on its outer surface, it is the most impressive monument of Khiching. The present Kichakeswari temple, originally dating back to the seventh or eighth century AD, was reconstructed from the ruins of an earlier temple in the early 20th century. It is not known how the king of Khiching got his ideas for such an unfortunate restoration, since the old photographs of the site indicate that there were merely enormous masses of fallen stones lying in mounds in different parts of site. The restoration seems to be incorrect in several details. The present shrine preserves a large ten-armed skeletal image of Chamunda with prominent veins, ribs and sunken belly, wearing a garland of skulls and seated on a dead body. In brief, the Parasvadevatas, the Chaitya arches, the amorous couples, the scroll works and the arabesques still to be found in the original parts of the temple clearly indicate that it may be a close contemporary of the Brahmesvara and the Lingaraj temples of Bhubaneswar. 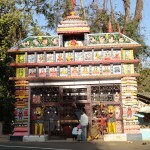 The shrine of Chandrasekhar is still standing intact in the compound. The plinth and the walls of the cell are almost intact of the shikhara, the mastaka portion, which had fallen, has been restored with great care in the first quarter of the present century. The decorations of the lintel and the jambs of the doorway and the figures of the doorkeepers, Chanda and Prachanda, are well executed. There are ruins of two fortified palaces of Khiching. The more extensive one on the river Khairabandhan is now known as Viratgarh, and the other, Kichakagarh, named after the well-known character in the Mahabharat. They were apparently the royal residences of the ancient Bhanja rulers. The site of Viratgarh was excavated and the brick remains unearthed along with a number of antiquities such as pottery, terracotta figurines, stone images, beads, pieces of gold and seals. The discovery of a Kushan coin pushes the history of place to the second century AD. To the southwest of the present Khiching temple is a place called Chaula Kunji where there are 14 pillars, four large and ten small, all monoliths. These pillars were brought to their present position sometime during 1932. 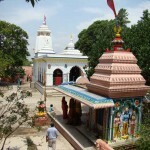 It is also called the Natya-Mandir. This site is in a dilapidated condition. Unless proper care is taken immediately, the pillars may fall down any time. The vast ruins of Kichakagarh lie to the southwest of this site. On the southeast of the Kichakeswari temple complex is a brick mound called Itamundia. This site has a huge image of the Buddha. One doorjamb of this site contains an image of Mahisha-Durga. Chandisal is another important place situated to the south of Itamundia. This has been excavated and conserved. The most noteworthy discovery from this place is the carved bricks, which formed the wall of the main temple. An image of the Buddha enshrined in the lower part of the temple was found during the excavation. From a place called Bhaibohu Dedhasura, on the bank of the river Kantakhair, two images of Uma-Maheswara were recovered. The doorjambs and lintel of the temple located at this site were unearthed and found to be in good condition. The stones used in this temple excluding the jambs, lintel and kalasa are laterite. The large number of laterite bricks lying around this spot are now being used by the local people for their construction requirements. By far the most exciting aspect of Khiching town is a museum housed in the temple compound. The museum contains a large number of life-size images of Durga, Ganesh, Parsvanatha, Tara, Parvati, Ardhanageswar, Vaishnavi, Nandi, Kartikeya, Avalokiteswar, Dhyani Buddha, Mahishasuramardini, Uma-Maheswara and female devotees. In addition, it has copper and iron implements, terracotta figurines, seals, ornaments, potteries, coins, stone tools and various fragments of the temples. In the courtyard of the museum, several sculpted parts of ancient temples of the site have been displayed in the open. The monuments of Khiching represent one of the highest points of the Orissan sculpture tradition. It combined a highly original aesthetic sense with extraordinary craftsmanship. The temple and sculptures of the place are all found in blue fine-grained chlorite, which is more enduring in nature and conducive for receiving fine ornamentation. The iconographical evidences suggest that under the early Bhaja rulers, Khiching was a prosperous town where Brahmanism, Buddhism, and Jainism flourished side by side. Khiching is situated at a distance of around 250 km from Balasore, 150 km from Baripada, and 350 km from Bhubaneswar. There is a good road network connecting it to all these places and regular tourist buses are available from Baripada and Keonjhar. Frequent trekker services are available too. We provide good Accomodation facilities for the tourists of Khiching. Contact us to Reserve your accommodation in advance. The information contained in this page may be derived from their respective resources, which are reserved by the corresponding owner/management committee of the heritage. Hotel Ambika is not responsible for any information, furnished in this page as the whole information is collected from its Authenticated Source(s). If found any error, then refer to its original source is advised.